iPhone 5 to sport even smaller dock connector? It looks likely that Apple could ditch the 30-pin port on the iPhone 5, but it may be replacing it with an 8-pin alternative and not the much rumoured 19-pin option. Apple's mobile devices currently all sport the famous 30-pin dock connector, with iPods, iPhones and iPads included here – however it looks like that's all about to change. According to two iLounge sources, who recently claimed the iPad Mini may get its own launch event, the new iPhone will reportedly pack the tiny 8-pin port. The sources also claim Apple is working on a new feature in iOS 6 which will use Bluetooth 4.0 to act as a bridge between compatible devices. The thinking is the new feature could allow a future iPod to do a variety of tasks, such making calls via an iPhone running iOS 6. Once again, we're not overly convinced with these particular sources, with no clear indication on how well 'connected' they are, plus there's still no guarantee that Apple will shy away from that 30-pin port. We expect the new iPhone to arrive in September or October, with September 12 being the date currently circulating regarding an iPhone 5 launch. 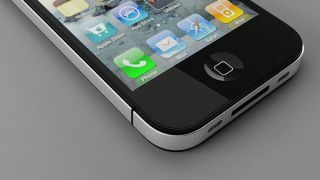 You can keep up to date on all the new iPhone stories with our iPhone 5 release date, news and rumours article.